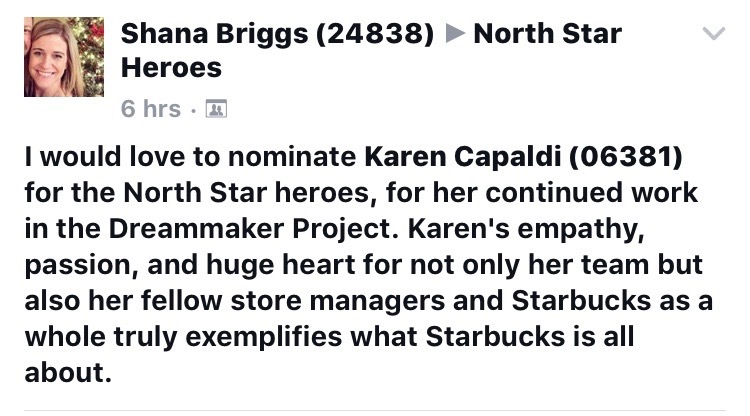 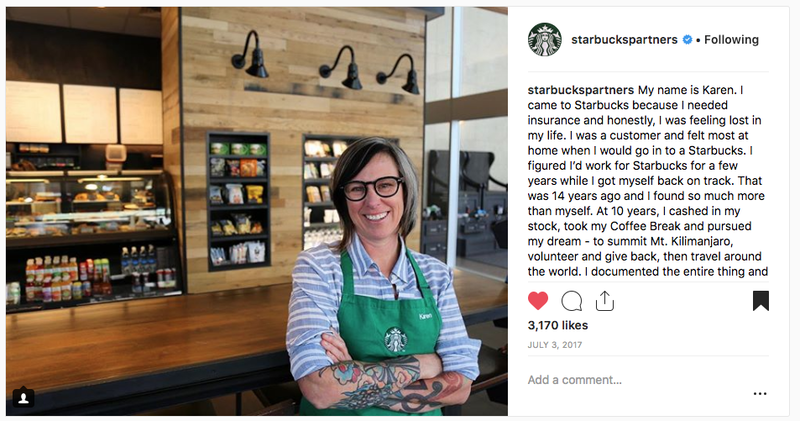 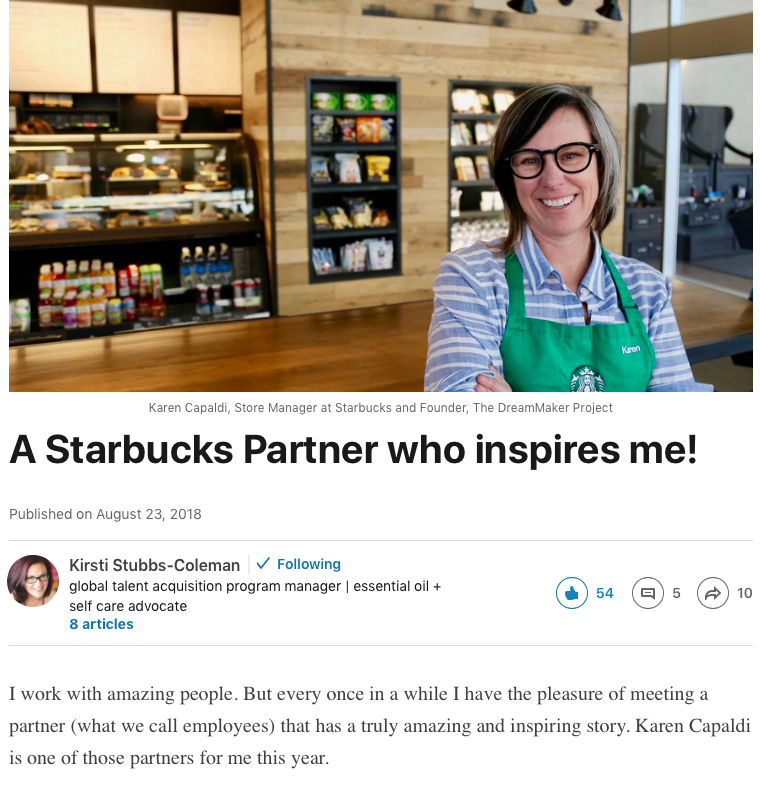 In 2017 Starbucks asked Store Managers to nominate people who emulate what they called North Star behaviors. 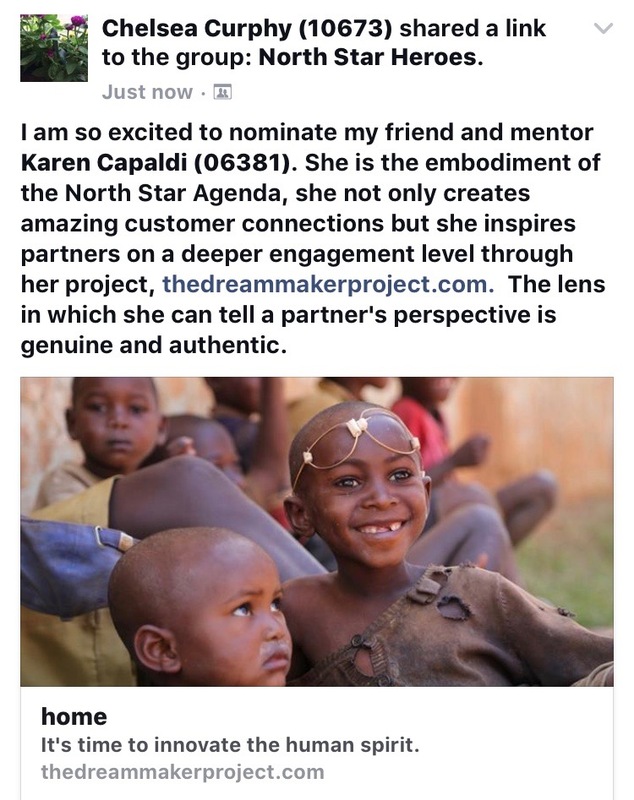 Those behaviors were: Recognize Me, Include Me, Appreciate Me, Support Me, Delight Me. 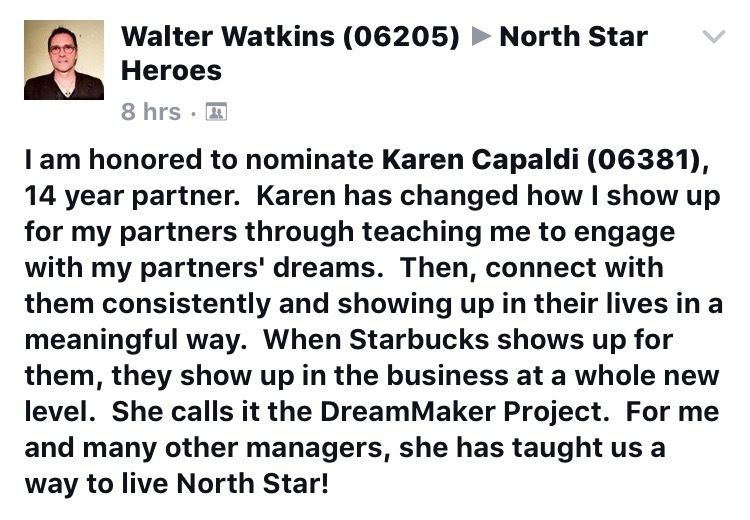 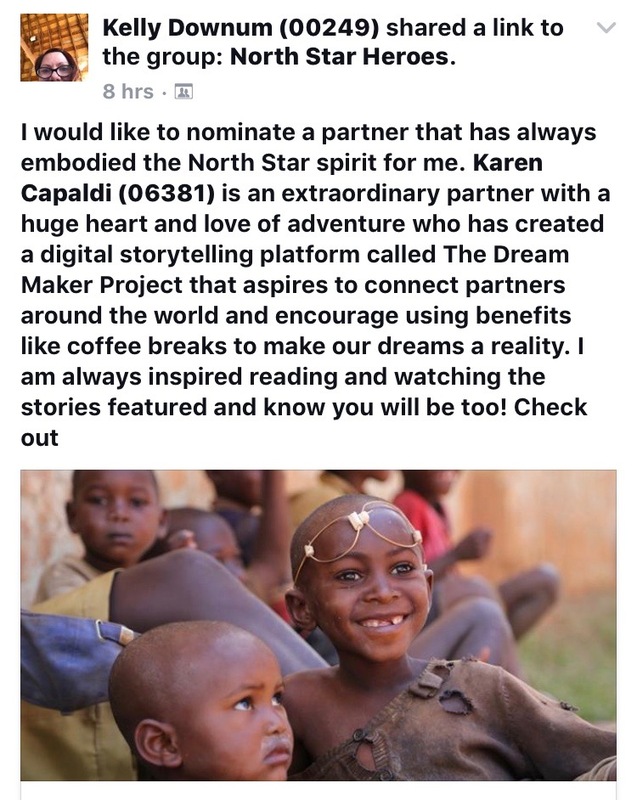 Only one store manager was nominated more than once — that was Karen and The DreamMaker Project. 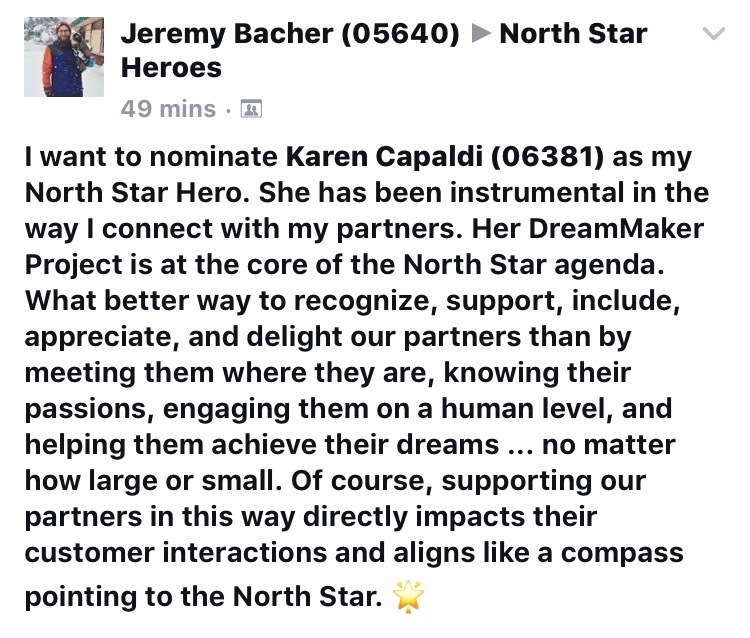 The DreamMaker Project influences how many Store Managers lead, resulting in higher moral and engagement, lower turnover and increased comp sales.